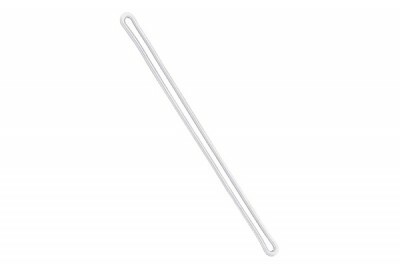 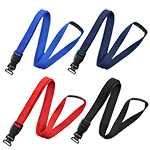 This 9" clear flexible plastic loop strap is a great way to attach tags to luggage, briefcases, golf and carry-on bags. 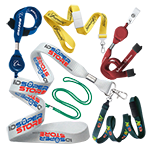 The loop strap is made out of a clear, plastic material, and is available in a variety of other colors. 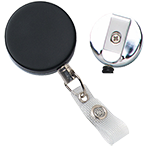 We ordered these to attach tags to our luggage but I'm using one to attach my badges to my lanyards. Looks way more cooler than the typical lanyard hook. 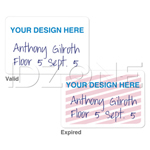 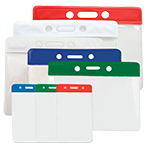 Useful for attaching name tags to bags and luggage. 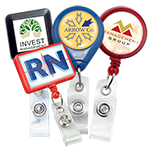 This is an affordable solution for attaching badges and name tags to luggage and carrying cases.